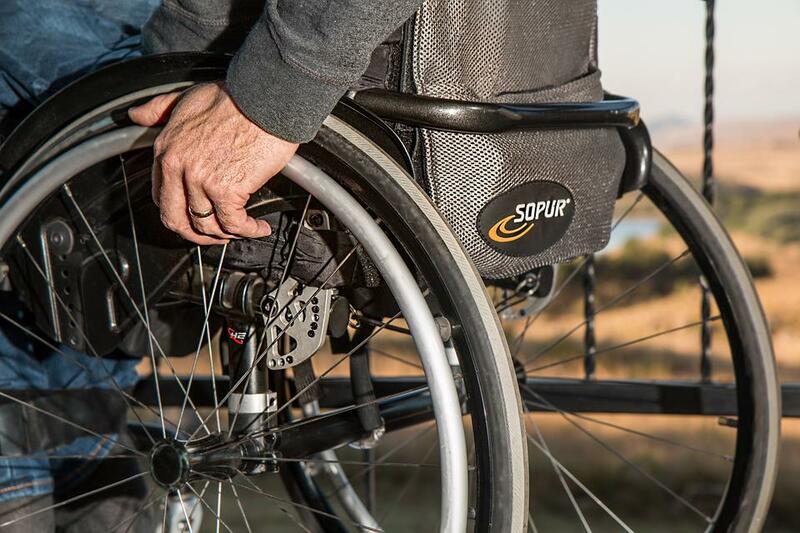 If someone you live with has just come out of the hospital and they’re in a wheelchair, or if you’re moving to a new home and need to make it wheelchair-friendly, there are a number of home solutions to consider. Read on to learn five of them. 1. Make one entrance into the home wheelchair-friendly. While it would be nice for each of the home’s entrances to be wheelchair accessible, for now, just make sure one of them is. You can use portable ramps temporarily until a more permanent solution is put in place. Whatever ramp you use, temporary or permanent, there shouldn’t be more than a one inch incline for every foot of length (this is a 1:12 ratio). Permanent options include renovating the home’s site to make a ground-level entrance that doesn’t have steps; creating a bridge that connects the yard to the house; and creating a way to unload the wheelchair from the van onto some sort of landing area, like a porch or deck. It may also be simplest to have a wheelchair ramp built for each entrance. Ramps are most safest if they include a non-slip surface, handrails and a cover. 2. Allow access to every floor of the home. Stairs are the main problem for a person in a wheelchair, but if you don’t live in a single-level home, cutting off access to anything other than the ground floor isn’t an option. A lift can be installed on each of the home’s staircases, choosing between a vertical platform lift or a staircase lift. This allows for access to every part of the home, and it grants a feeling of independent. If you’re installing a staircase lift, make sure that it swivels so that it can be easily climbed into and out of. 3. Change the type of flooring or floor covers you have. Carpets and rugs can be difficult for a wheelchair to maneuver on. In any of the rooms that your loved one may use, remove thick carpeting and rugs. Hardwood flooring and tiled flooring are the best types for wheelchairs, but if you prefer carpeting in some areas, choose a low-pile carpet. Thresholds between rooms can also be troublesome for wheelchairs, and you can make these areas safer by using rubber ramps. If there are cords exposed on the floor, make sure to cover them, which will protect both your loved one and the cords themselves. 4. Make the kitchen sink easy to access. In the kitchen, one of the most-used areas, and the hardest to use by someone in a wheelchair, is the sink, because you can’t easily reach the sink even if the wheelchair is as close as possible to it. By removing the floor cabinets around the sinks and moving the pipes as tightly against the back wall as possible, a wheelchair can be moved right up to access the sink. The countertop and sink can also be moved down so that it’s approximately 30 inches tall. Other kitchen renovations to consider include making sure all appliances are easy to reach, including the outlets and controls, and having storage units that roll out from under the countertops. 5. Create easier-to-use doors and doorways. Doorways are difficult for anyone in a wheelchair, mainly because it can be such a tight squeeze, if the chair will even fit through at all. To create a more usable and safer doorways, widen the area. You may be able to do this by removing the doorframe and the door, instead of having to adapt the entire wall. Sometimes changing the direction in which the door opens is also helpful. Also pay attention to the doorknobs. Sometimes, lowering the doorknobs make them more accessible, but the best option would be to have an auto opener installed on your doors. Modifying your home for someone in a wheelchair isn’t just a safety issue, but it can also improve their happiness and quality of life.